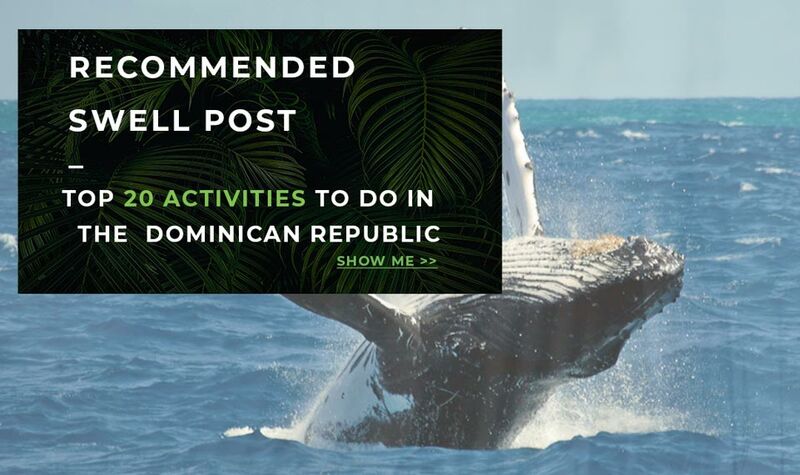 You have made the smart choice on going on a holiday to the Caribbean country of the Dominican Republic, and now you are looking for information on how to get to the Dominican republic, and once on the island on how to get around. The DR is a large island so below we have made compiled all the info you need for a succesfull trip to & around the DR. In the Dominican Republic, there are several marinas for ships and boats, domestic airstrips for private planes and charter, and eight international airports are operational. Regardless of your means of transportation and destination in DR, one major factor to consider is choosing the right gateway. DR is a large island with road distances that could take you close to 24 hours to reach your destination. For instance, you will have to spend about seven hours to transport overland from Punta Cana to Puerto Plata airports. Hence, it becomes pertinent to choose the right arrival and departure gateway that is nearest to your destination as it will reduce cost and stress. • Las Americas International Airport (SDQ): this airport is about 30 minutes from the capital of Santo Domingo. Also, it is the main point of entrance for international air arrivals into the city. SDQ which is also known as the Jose Francisco Pena Gomez International Airport is one of the most accessible places to reach the beach towns of Boca Chica and Juan Dolio as it is just six miles away. • La Isabela International Airport: which is also called Dr. Joaquin Balaguer International Airport (JBQ) is situated at the north end of Santo Domingo where flights are leaving and arriving from Haiti, Cuba and the chosen nearby Caribbean islands are handled. From Punta Cana International Airport (PUJ) to Punta Cana and Cap Cana areas, it will take you 15-minute drive, but you will need a 30-minute drive to reach Bavaro, El Cortecito, and Arena Gorda from the same airport. Also, about 45-minute is needed to move from the airport to areas such as Macao and Uvero Alto. PUJ is the busiest airport in DR because it handles flight from more than 28 different countries and 96 cities around the globe. Also, it is the second busiest airport in the whole of the Caribbean region with an estimated 3.5 million international passengers entering DR through PUJ per year. The Gregorio Luperon International Airport – simply known as POP – is situated at a 20-minute distance to the north coast city of Puerto Plata as well as some nearby tourist centers such as Cabarete, Playa Dorada, Cofresi, and Sosua. 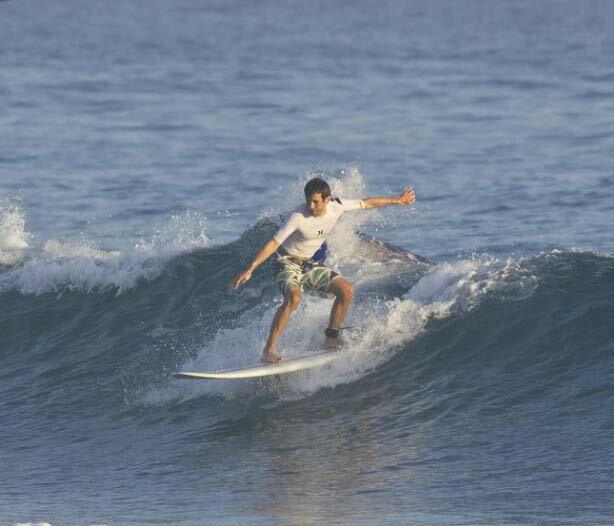 Also, you will be able to reach Playa Grande and Rio San Juan within an hour by road from POP. The southeastern coast located La Romana International Airport (LRM) is also referred to as the Casa De Campo International Airport. The airport is about 10 minutes and 20 minutes away from Casa de Campo Resort & Villas and Bayahibe respectively by car. Also, you will be able to reach Santo Domingo by car from LRM within two hours while it will take less than one hour to reach Punta Cana. You can also call the El Catey International Airport as Juan Bosch International airport or simply as AZS. It is about 30 minutes from the city of Santa Barbara de Samana as well as Las Terrenas. Nevertheless, you will have to be patient for an hour to reach Las Galeras from the airport by car. From the Cibao International Airport (STI) to the bustling Santiago, it will take just 15 minutes. Santiago is the second biggest city in the Dominican Republic and is located within the mountainous region of the nation. STI is also close to other cities and towns such as Constanza, La Vega, and Jarabacoa. You can use STI as your gateway if you will be residing in Puerto Plata; however, it is advisable to add some extra transportation time to the time of your return flight. The Dominican Republic has an excellent means of movement to other countries around the world. And also, within the country, you will see a series of flight options that travel to North America and Europe. Airports such as the Santo Domingo, Punta Cana, and Puerto Plata are the primary entry point into the country by air. However, international airports at Santiago and Samana are also used continuously and reliable. Entering the Dominican Republic is relatively cheaper if you come through a charter flight as a result of the massive all-inclusive tourism industry which is located along the Dominican shores. Within this area, a package deal which includes airfare, food abound, hotel at a low price are made available to those who will like to tour around. Even if you choose not to go all-inclusive, the air charters which moves package tourists to their inclusive destinations do provide additional seats to independent travelers regularly at a low price. While those entering DR from South Africa may get to see lesser bargains, they will need some strength to enter the country through the major airlines; although, they won’t be safe from a transfer in some moments during their trip. Some flights are available from the major cities of Canada and USA that conveys passenger to the Dominican Republic. Although some west-coast movements need an overnight stay in New York or Miami, you will get some of the cheapest and most frequently passed gateway from the cities of New York, Montreal, Toronto, and Miami. For instance, JetBlue – the budget airline – offers low-cost travel from North America to airports in Santiago, Puerto Plata, and Santo Domingo. 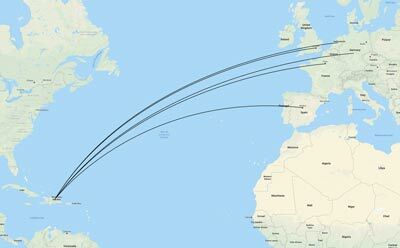 Since all the flights pass through New York City, it is necessary to demand a transfer if you are coming from other countries on the continent. You can get a handful of companies that offer valuable package tours to Dominican resorts for seven to fourteen days. Generally, these packages are made obtainable to the top commercialized destinations like Cabarete, Puerto Plata and Sosua in the north end of the country and Boca Chica, Punta Cana/Bavaro and Juan Dolio in the south side. Most package tour operators in the USA mostly work from a specific city and may not be able to connect flights from other areas. Basically, one operator will be able to book your flight with American Airlines and take you to the DR from any major city in the USA – take note that their services are always a bit pricier. If you are leaving from Canada, Dominican packages are served by series of travel “wholesalers” and charter airlines who do avoid dealing with individual citizen directly; instead, you will have to engage a local travel agent if you want to order for one of their packages. You can get a direct flight from London to Punta Cana through British Airways, but its only twice per week; currently, they operate on Thursdays and Sundays to and fro at the cost of £300 to £400 all year-round. 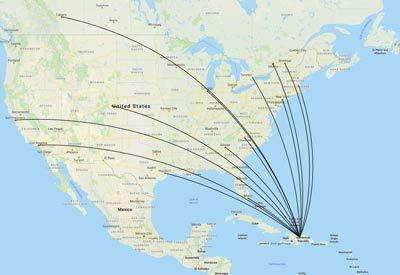 Also, it is possible to leverage BA to enter Puerto Plata and Santa Domingo; although you will have a stopover in Miami with a connecting flight via their partnered American Airlines. Another option you can use is that there are some charter flights which travel directly from London Gatwick and Birmingham to Punta Cana or Puerto Plata. Typically, they operate with all-inclusive hotel accommodation, but you can book for a free seat through the website of one of the many charter flight wholesalers. 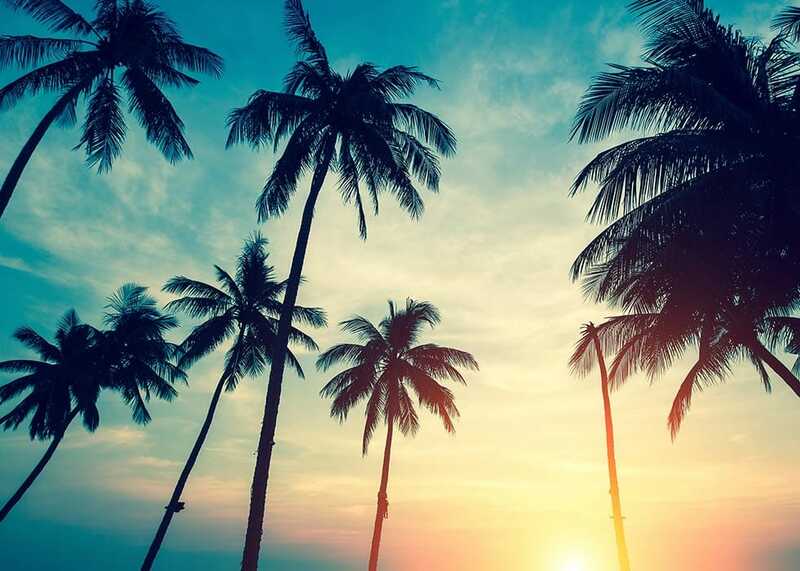 Every scheduled travel to the Dominican Republic moves every day from Gatwick and Heathrow – if you are going to Punta Cana, you will have to move through Paris while to arrive in Puerto Plata, you will need a stop off in New York. Traveling directly to the Caribbean from Australia or New Zealand is almost unrealistic. The reason is that there is no direct flight from these countries to the Dominican Republic as you will have to fly down to the US or Europe first. Whichever route you decide to take, it is a day-long journey; however, the most comfortable way is through Australia in which there won’t be any stop off from Sydney to New York City through Qantas, United, or American, which is preceded by a follow-up movement to the Dominican Republic through any of the North American Airlines highlighted below. If you are coming from New Zealand, you can follow a direct flight from Auckland to New York, but there will be a stop at Los Angeles, from where you will proceed to DR. Tourists from South Africa can enter Santo Domingo by following Iberia airlines, although there will be a stopover at Madrid and/or London. Also, they can land at Puerto Plata and Punta Cana through British Airways with stops at London and/or Miami during the journey. 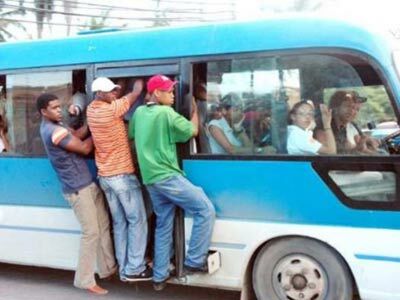 The public transportation system in the Dominican Republic is modernized and comprehensive. Citizens of the countries are regularly on the road for one reason or the other. You can get Uber in three big cities such as Santiago, Puerto Plata, and Santa Domingo. On the contrary, Taxis are everywhere while you can also get different kind and sizes of a bus moving to different towns or cities you might want to visit. Public transportation is one of the most affordable means of movement in DR as well as an excellent way of sightseeing. Consequently, it promises a memorable experience in the country. The Santo Domingo metro (Opens new window) works on two lines which are mostly utilized by residents moving to their place of work. However, there are several stops which makes sightseeing quite convenient. For instance, line 1 pass through north to the south via Maximo Gomez Avenue, right from the Villa Mella region to the Centra De Los Heroes which is the area where the Congress, Department of Migration, the Supreme Court of Justice and several other government ministries are situated. If you alight at the Casandra Damiron stop on line 1, you will see the Plaza de la Cultura directly – this place is where important Museums and the National Theater are located. From the east to the west, the Line 2 moves from the John F. Kennedy Avenue through the Agora Mall located at the Pedro Mir stop and to the Felix Sanchez Olympic Stadium. For a roundtrip subway, the transport fare is RD$15 for a rechargeable metro card, RD$40 for roundtrip and RD$80 to have a day pass. The subway opens by 6 am and closes by 10:30 pm. Taxis are ubiquitous and can be board in almost every city and town. You will see them mostly at major bus stations, tourist areas or hotel vicinities. If you will be residing in major cities such as Puerto Plata, Santiago or Santa Domingo, the most advisable option is to order for a 24-hour taxi service from one of the taxi companies – you can ask a representative from your hotel, or ask any native for the most reliable option and also to help contact the brand. For example, Apollo Taxi and Aero Taxi are famous in Santo Domingo. It is advisable to confirm the car color and the estimated waiting time while speaking with the representative of the taxi company. Also, endeavor to confirm the cost of your destination and rates which are stipulated by taxi association for movement within the city. In the year 2015, the popular ride service app UBER was launched in the Dominican Republic, and currently, it is highly active in three big cities, namely Santiago, Puerto Plata, and Santo Domingo. Also, Cabify works in Domingo. The two apps are safe to use within any region in DR. The reason why most tourists choose to use the two apps is that there is no need to discuss with the driver on the phone – which is a solution to the language barrier. Also, they operate with a better functional car with air conditioning system and seatbelts – that aside, the fare is low during periods of no heavy traffic. Comfortable and large coach bus services which links several regions to another is one of the significant advantages of DR. Three reliable brands provide a daily trip to major cities with modern, air-conditioned buses which has Wi-Fi service. One of the three brands is the Metro Tours buses that travel through Santo Domingo, Puerto Plat, Sosua, La Romana, and Santiago as well as a daily departure to Port-au-Prince, Haiti. The second brand is the Caribe Tours buses that also leaves for Santo Domingo, Santiago, Sosua, and Puerto Plata. Also, Caribe buses do visit Barahona, Cabrena, Samana, La Vega, Montecristi and several towns in the Dominican Republic including Haiti daily. The third bus company is known as Expreso Bavaro which is the only bus service which links Santo Domingo to Bavaro daily, and also, it is an excellent option for Punta Cana travelers. The cost of Bus service does range between RD$200 to RD$500 for a one-way trip. Ensure that you arrive one hour before the departure time of the buses to take a seat, and ensure that you move along with a sold jacket or scarf because the buses mostly set the air-conditioning to the lowest level. The guaguas which travels to the innermost part of the city are usually white vans which stop to pick and drop passengers while moving along a scheduled route. These minivans are the slowest form of movements on the ground. In most cases, passengers are packed together. However, it is the cheapest form of transportation within the city or town. It is advisable to have your change before entering the buses as the drivers do not have changes in most cases, and eventually, you might have no choice than to pay more. Every guagua has a driver and a conductor who call passengers while the minivan is moving, collect fares from the passengers and inform the driver about the next stop. It is encouraged to tell the conductor where you will be alighting immediately you enter the bus, and be ready to pay once you enter or as demanded by the conductor. Most of the locals in the big cities such as Santo Domingo, Puerto Plata, and Jarabacoa uses the famous Motorbike taxis as they are the cheapest and quickest means of getting past the traffic. However, it is also the most dangerous means of traveling most especially in big cities where there is heavy traffic. Most of the drivers of motorbike taxis don’t have a helmet for passengers, even though they are tasked to provide one by the government. You should know that taking a slow bike taxi across the mountain towns of Constanza and Jarabacoa is an excellent method of exploring fantastic scenes. You will likely see a motorbike taxis driver wearing a neon-colored vest – but not all of the drivers do wear it. You can request for a motoconcho hub in your area or secure a referral from your hotel. Depending on your destination distance, the cost of fare for motorbike taxis does range from RD$25 to RD$75 within the city. The shared taxis are also referred to as carrito–conchos, carritos or simply as conchos. Conchos are four-doors sedans which are similar to the in-city guaguas since they also move through particular routes and stop at any spot along the way based on passenger’s request. They can be boarded in the big cities, towns as well as villages. Compared to the guaguas, they are more comfortable; nevertheless, the passengers are usually packed together at the back and front seat. The cost of conchos’ fare is cheaper than the fare of private taxi – which costs RD$150 – as it falls between RD$25 to RD$50 based on your destination. There are several modern and functional highways in the Dominican Republic which connects the major cities, the coastlines and many famous places of tourism together. The highways are a reflection of the memorable scenes within the nation, most especially the beautiful views along the highways that run from Santo Domingo to the Samana Peninsula, Jarabacoa as well as the coast of Puerto Plata. You should get accustomed to these highways particularly if you aim to hire a car and tour around several regions within the country. You can encounter tolls based on your destination and location; endeavor to ask a representative at your guesthouse before proceeding with your expedition. For example, the highway that covers Santo Domingo to Boca Chica holds one tollbooth; in contrast, there are four tollbooths between Santo Domingo and Bavaro. Also, you should know that the toll fees do vary between RD$60 to RD$1OO per booth. Take along a small change in Dominican pesos while moving out. Although dollars are acceptable, any change required will be given in local currency. Route One: Autopista Duarte covers from Santo Domingo to Santiago: It has four lanes connecting the north and south side of the country. It will take about two hours to drive from the capital city to Santiago which leads to La Vega and Jarabacoa. Route Three: Autopista Las Americas: it connects the Las Americas International Airport in Santo Domingo to the western end of the city as well as the beach town of Boca Chica towards the eastern end. Eventually, it links up with Autopista Coral along La Romana. Route Three: Autopista Oscar de la Renta: it is also referred to as the Autopista del Coral. It connects Santo Domingo to the Punta Cana resort area while bypassing Higuey within three hours and also enters La Romana in a one-hour drive. Route Five: Carretera de Puerto Plata: this highway is a dual-lane which runs along the North coast. This highway offers one of the most eccentric and beautiful drives within the country as it passes fishing villages, beaches, far verdant hills, and campo life. 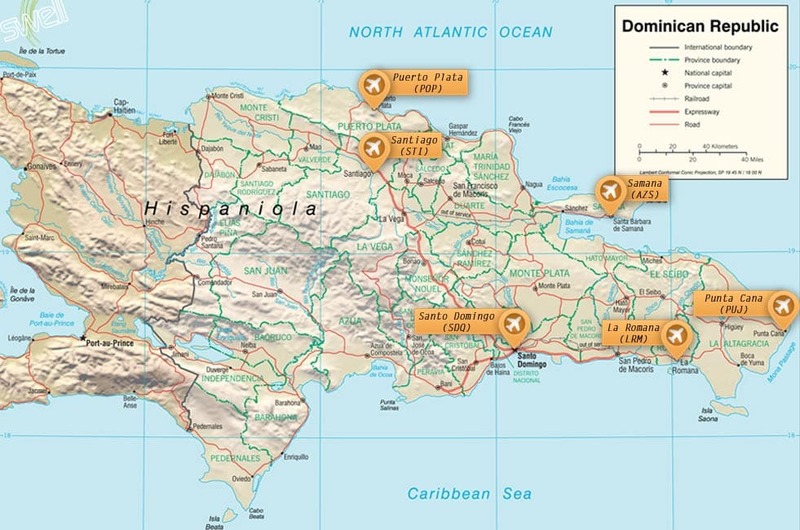 Route Seven: Santo Domingo to Samana Highway: as the name suggests, this highway connects Santo Domingo to the northeastern Samana Peninsula. You will be fascinated with appealing scenes of dense coconut tree-laden hills from the coconut oil plantation looking over a bright blue sea. Another option you can use is to pass through Route 133 or Turístico del Atlántico to reach Las Terrenas; however, it will cost you extra US$11 as a toll fee which is nothing compared to the exciting, winding coastal scene and a vista images over the Bay of Coson through your expedition. The Dominican Republic has it all! 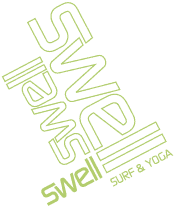 Questions or comments about this surf technique article? Let us know, send us a message.